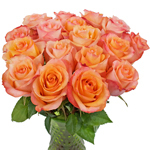 Find juicy orange roses at FiftyFlowers.com. 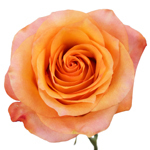 Twilight is a light orange rose with hues of peach and pink, and burgundy on its outer petals. 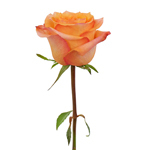 This bloom delivers wonderful color to your arrangements. 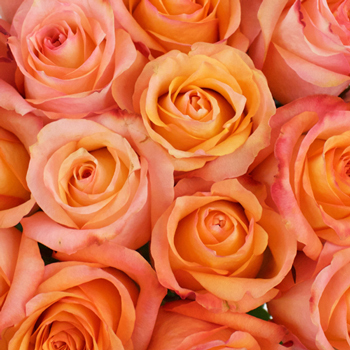 Combine this rose with a blend of orange and yellow blooms for the perfect Summer look.